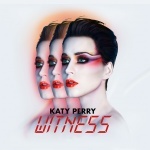 Fly on the Wall is proud to announce the Witness World Wide event, a groundbreaking collaboration with Katy Perry and YouTube! Uncensored and unprecedented, this live stream provides 24/7 access to Katy’s world as she drops her new album, Witness! Become a fly on the wall as she hangs out with her famous friends, answers your interactive fan questions, and offers a glimpse into what makes her a global superstar. Click here and follow the hashtag #KPWWW for an exclusive chance to be a #witness!